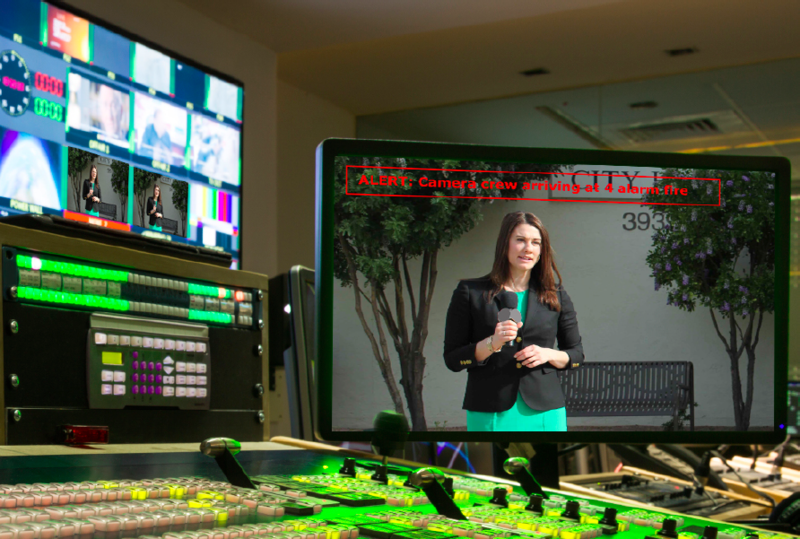 TVU Alert is a cloud-based service designed to help television news organizations send out critical messages in a timely manner to their entire organization. By typing in one or more lines of text and the click of a button, alerts can be dispatched automatically within a station, to other sister news stations or to a sub-group within the organization. TVU Alert is fully supported on TVU devices including all fixed and mobile transmitters as well as TVU Grid, TVU’s IP video distribution, routing and switching system. Operation of TVU Alert is simple. A user creates an alert message, sets up the recipient list using a dialog window and then sends it with a simple button click. With TVU Alert, TVU devices can participate in peer-to-peer chats with another device. For example, a technical director can send specific instructions to camera operators via their TVU Anywhere-enabled mobile devices. For group alerts, any number of users can be included in a group, and alert messages are only viewable by group members. With the help of the TVU Alert dashboard, station staff such as the assignment desk manager or news director can monitor and manage all alerts that have been received or dispatched within their organization. Each Alert message will be displayed on this interface as well as how long ago it was originally sent out. The TVU Alert API allows alerts to be imported and exported from external sources such as news management systems, wire feeds, script writing, archive access and equipment automation.